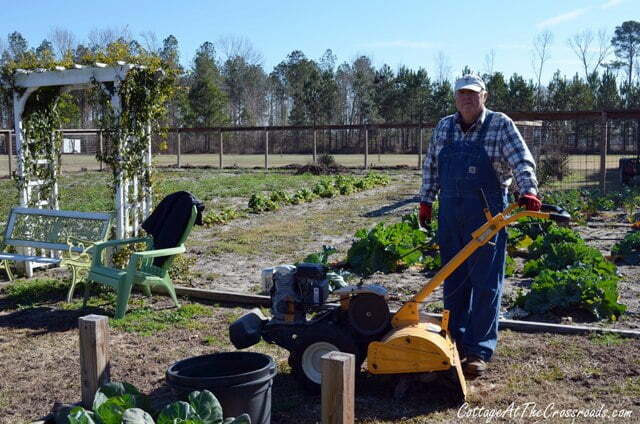 I was so glad to see the sun pop out this past Friday here in South Carolina so that I could get some things done in the garden. 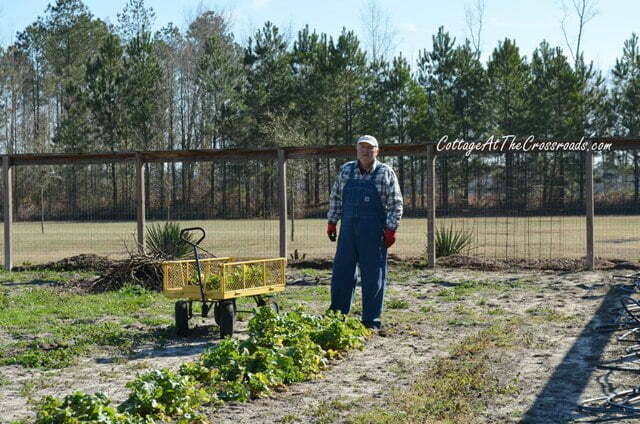 We’re fortunate here in the South to be able to grow certain vegetables year round. 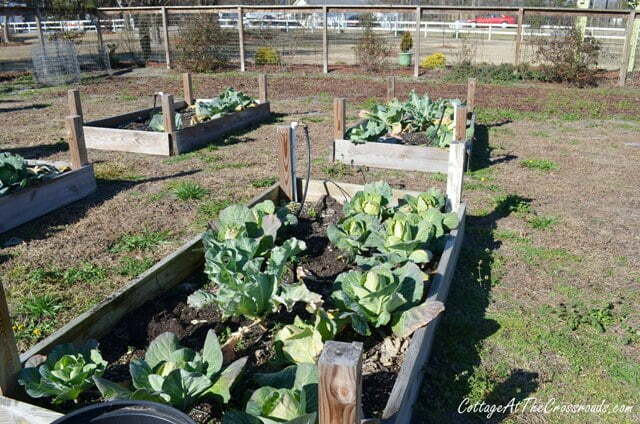 We still have fresh cabbage growing in the raised beds. 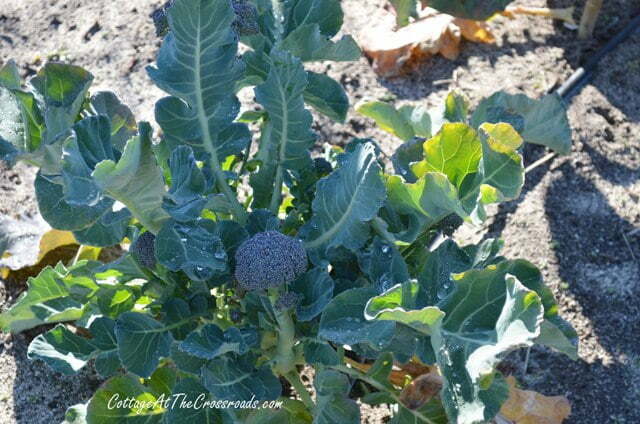 These broccoli plants are still producing. I remember when President George H. W. Bush casually mentioned that broccoli was his favorite vegetable, and the next day a truckload of broccoli was delivered at the White House by American farmers. Maybe you remember Dana Carvey chopping broccoli on Saturday Night Live! But I digress…back to the garden. It’s amazing how fast these winter weeds pop up. 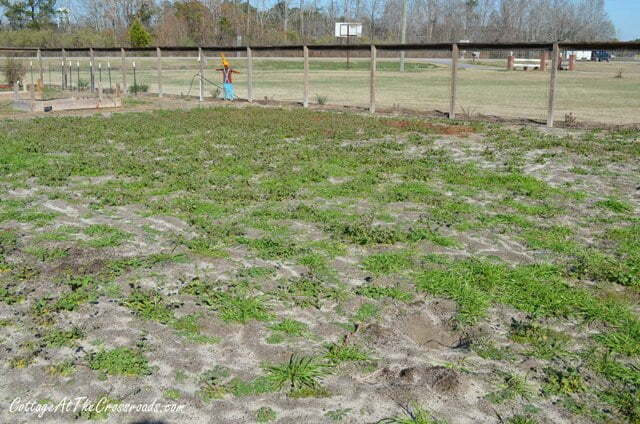 It’s important that I turn the weeds under before they start producing seeds. So I took care of that! It’s really nice to spot just a hint of spring on these yellow jessamine vines growing on the arbor. If you remember, Jane and I put this garden arbor up last spring and look how the vines have covered it in less than a year. In another area of the garden, I spread leaves from our yard. 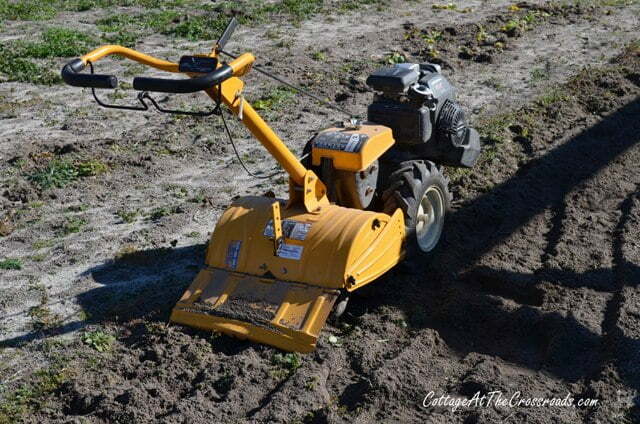 It’s a great way to add organic matter to the soil. They’ve been sitting there for about a month, decomposing. So while I had the tiller out, I turned them under, too. It’s also time to tidy up a bit, so I pulled up these overgrown radish plants. And I DO mean overgrown! I put the radish plants into one of my two homemade compost bins. 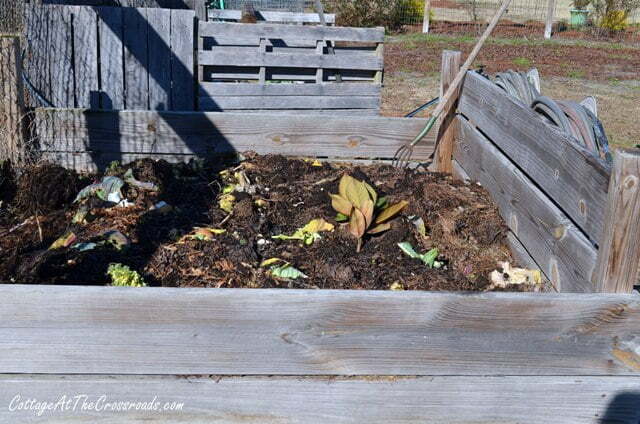 These compost bins provide fantastic, natural fertilizer. 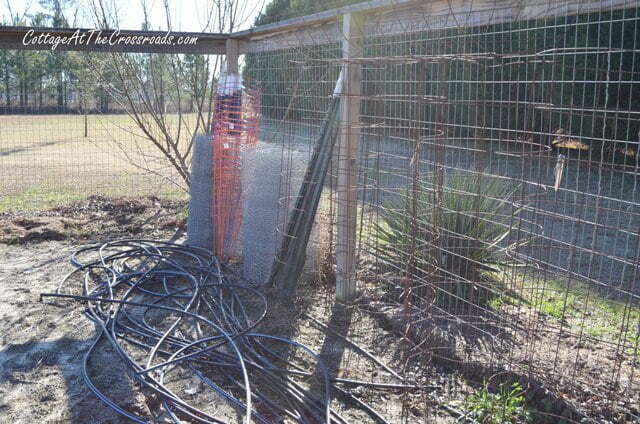 Believe it or not, it will be time to use these irrigation pipes before you know it. Traditionally, we plant potatoes around Valentine’s Day. I’ll be ready. My garden will be ready, and I’ll make sure the soil is prepared. Today I gathered samples of the soil to be sent off and analyzed. If you are just starting a garden, I highly recommend that you have your soil tested. You can get a soil testing kit from your cooperative extension county office. 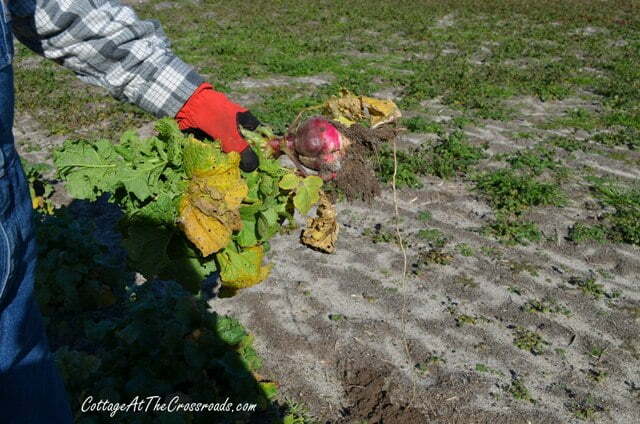 The results will tell you exactly what to add to your soil to produce an abundant harvest. A little preparation will pay big dividends. 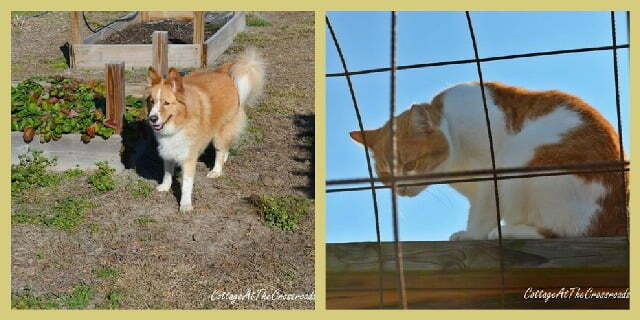 Lucy and Juicy enjoyed being in the garden. (Yeah, I know, we’re not overly creative with our pet names!) They think that there is always something to do in the garden, too! It seems amazing to me that you can grow things all winter and start your potatoes in February. I live near Toronto, Canada and we can’t plant anything until May without risking frost damage. Right now there isn’t anything growing in the garden. 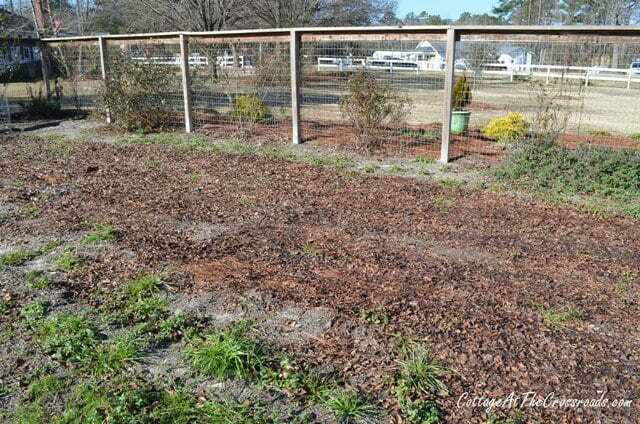 Leo, I lOVE your garden…I live in South Carolina also, Blythewood. And I just recently found out that I can leave my collards and cabbages in the ground til I’m ready for them. Cabbage seems a bit tough though…wondering if the dramatic changes in temperatures have anything to do with that. I’m so proud of your yard, I think it is spectacular. My hubby and i are also diyers, but never so wonderful as you guys. I am disabled, but have not been able to get my garden into raised beds yet, looks like I would need an awful lot of soil hauled in. Soooo liking your garden. Good luck with the weather this year…we’ll all need it! Thank you for the kind comments on the blog. I hope you have a good growing season. 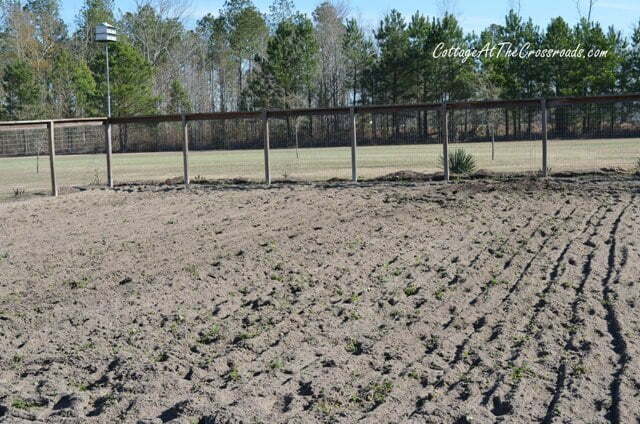 There is a girl in Charleston that is disabled and she has constructed raised beds that are higher off the ground. She can actually work the beds from a wheel chair. Just a thought. I absolutely adore your garden. I am such a novice gardener that I find your gardening posts so inspiring and interesting. Look at all the broccoli! Wow. We have some warm days in the forecast for this weekend… I may have to get some prep work done! Your garden is looking wonderful! 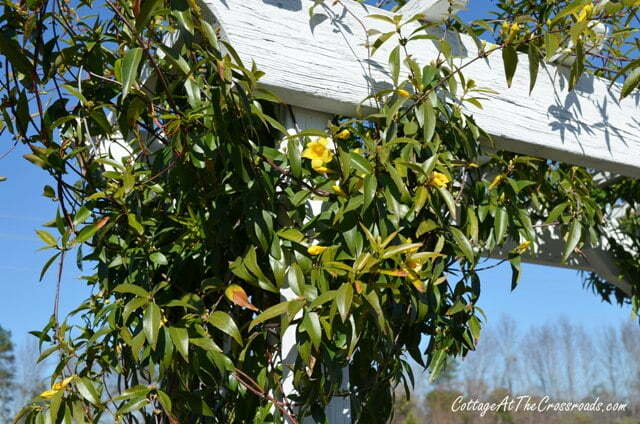 Love the yellow jessamine vines growing on the arbor, So pretty! Juicy is technically my mother’s cat, but we claim her, too! I like the names. My garden is still a sleep. But I planning this spring planting out. We are enlarging the side garden spot. I just have to decide how big. It looks great! We’re buried in a foot of snow, so very jealous of your weather! 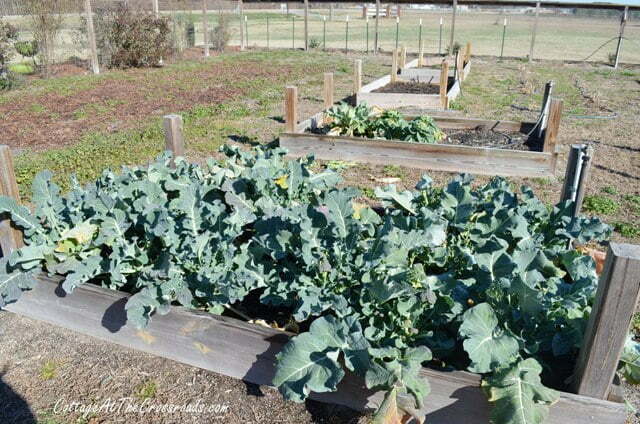 I am getting the gardening fever too.Broccoli,cabbage, celery and brussell sprouts growing now. Will plant english peas soon. It’s nice to live in a place that you can garden year round. 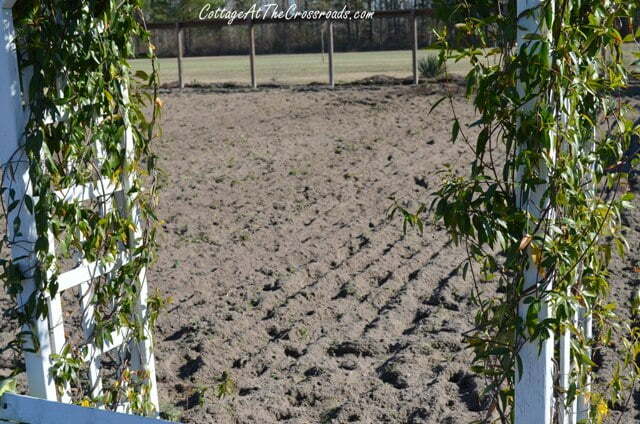 We sure see some nice gardens of greens here in Florida! Enjoy your week! How nice to get out and garden in the winter. We need our soil tested in our yard since our grass started doing poorly a couple of years ago and we have more weeds than ever. That is one huge radish. Love the pet names. Maybe you can enter that radish in the guiness book?! I’m cold and looking out my window at bare branches! I need a trip down south stat!